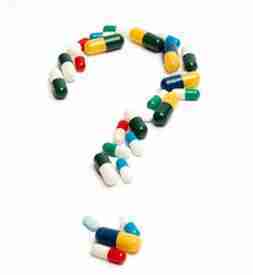 Are there medical issues that need to be considered and assessed, including a current meds regimen? Medical conditions may cause emotional/mental health issues in as many as 25% of us and contribute to them in more than 75%. The use of psychotropic meds for the treatment of the mood and anxiety disorders is over-the-top baffling. Truth is, being placed in a position of pervasive uncertainty regarding the use of meds for depression, anxiety, and mania just isn’t right. Will this one work? Will it stop working over time? Can I handle the side-effects? Can I afford it? Should I really give it a go? How sad that has to be the verbiage for so many when it comes to pursuing comfort – existence. Nonetheless, the hand has been dealt and we gotta’ play the cards. What specific bottom-line issue(s) is generating the desire for meds? Can’t treat what isn’t IDd. Have meds been used for the same circumstances, and what were the results? History can be a great guide. Is there a noticeable interruption in daily routine/functioning? Always a treatment need indicator. Have non-med interventions been tried? Therapy and lifestyle changes can work wonders. Is a trusted physician onboard? Psychiatrist or primary care doc, is s/he solid? Has personal research been conducted? Don’t assume even the trusted doc knows everything (and remembers to pass it on). Have potential side-effects been considered? Info is easily accessible and it’s must-know stuff. If a controlled substance is in the mix, have possible consequences, including dependence, been considered? Benzodiazepines (Xanax, Valium, etc.) and sleep meds (Ambien, Lunesta, etc.) are Schedule IV drugs. Stimulants (Adderall, Concerta, etc.) are Schedule II. Is there a willingness to participate in therapy while taking meds? Therapy and meds work better together than either alone. Have costs been considered and do they fit the budget? Why go with a regimen that can’t be sustained? Is committing to a two-month trial, barring major problems, acceptable? Begging-off in the beginning, should the waters get choppy, is a mistake. So what do you think? Relevant? Helpful? And, you know, there have to be other considerations. For instance, perhaps one knows s/he really needs to start a meds regimen, but hesitates because they’re afraid it won’t bring relief. And, of course, that’s interpreted as the failure of a “last-ditch effort” at reclaiming life. Or maybe anxiety says ingesting any med poses a threat. Finally, for some, “succumbing” to meds equates to owning an emotional/mental health issue. That can be a tall order. Do us a favor? If you think of something that hasn’t been mentioned, please share in a comment. Psychotropic meds can turn lives around, even save them. But they can also be a disappointing knee-jerk reaction. So, yes, baffling – but just the way it is. If you’re at the point where meds are lookin’ (awfully) good, please consider our “12 Contemplations.” Perhaps they’ll bring some reason to a seemingly unreasonable dilemma. 692 Chipur titles are a tap away. Please, dig right in.